Description: About the Book The renowned biblical scholar, author of The Misunderstood Jew, and general editor for The Jewish Annotated New Testament interweaves history and spiritual analysis to explore Jesus� most popular teaching parables, exposing their misinterpretations and making them lively and relevant for modern readers. Jesus was a skilled storyteller and perceptive teacher who used parables from everyday life to effectively convey his message and meaning. Life in first-century Palestine was very different from our world today, and many traditional interpretations of Jesus� stories ignore this disparity and have often allowed anti-Semitism and misogyny to color their perspectives. In this wise, entertaining, and educational book, Amy-Jill Levine offers a fresh, timely reinterpretation of Jesus� narratives. In Short Stories by Jesus, she analyzes these �problems with parables,� taking readers back in time to understand how their original Jewish audience understood them. Levine reveals the parables� connections to first-century economic and agricultural life, social customs and morality, Jewish scriptures and Roman culture. With this revitalized understanding, she interprets these moving stories for the contemporary reader, showing how the parables are not just about Jesus, but are also about us�and when read rightly, still challenge and provoke us two thousand years later. Citation: Jessica Tinklenberg, review of Amy-Jill Levine, Short Stories by Jesus: The Enigmatic Parables of a Controversial Rabbi, Review of Biblical Literature [http://www.bookreviews.org] (2015). 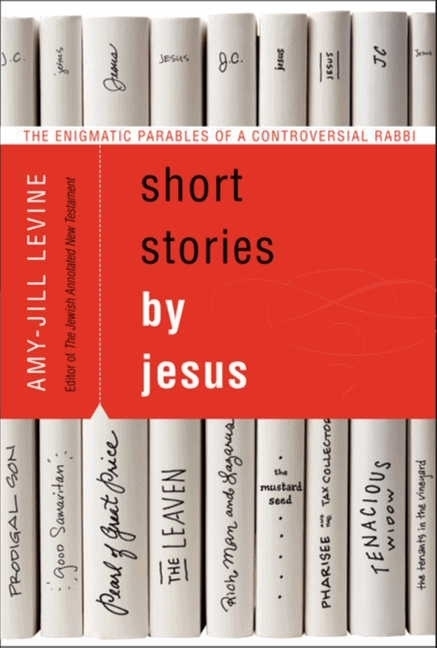 Citation: Tobias �l�w, review of Amy-Jill Levine, Short Stories by Jesus: The Enigmatic Parables of a Controversial Rabbi, Review of Biblical Literature [http://www.bookreviews.org] (2019).